A great theme can be fundamental to a party's success, and one of our most popular themes is the carnival or circus theme. To enhance the flavor of that theme, party sound is essential. At Track Seven Events, we are committed to creating memorable events that truly impress your guests. When you imagine a place or a particular period in time, what you do think of? If you're like most people, you probably see various sights and scenery. Then, as your imagination really starts going, you may start to imagine the hustle and bustle of the area. You may smell certain aromas or hear key sounds. When you work with us to put together an event, we do all of that imagining for you, and we bring together all of those element to create a top notch, professionally produced event. If you like the idea of an event with a carnival or circus theme, the first images that pop to mind are probably big tents, clowns, carnival games, and fun houses. Then, you may think of all the activity like people throwing balls at milk jugs to win prizes, jugglers hurling bowling pins into the air, or daredevils swallowing swords or dancing with fire. Finally, the sounds may come to mind. Think of callers announcing what's happening in the big top, the classic twinkling sounds of a carousel, or the back and forth melodies paired with clown acts or dancing elephants. At Track Seven Events, we love playing with sounds. In fact, way back before we were one of the top party planners in Atlanta, we started off as DJs. We still bring our love of music and our knowledge about party sounds to every event we plan, and we work with you to create the atmosphere that you want for your party. With a carnival theme, there's lots of sounds that you may want to include. You may want a barker outside the event, welcoming in guests, and to punctuate that choice, you may want the entry set up so that it feels like your guests are stepping inside a big top. Once inside, you may want the games to have carnival music blasting from them. If you're having performances, you may want fun circus music playing in the background. Even if you are having a relatively serious event with corporate presenters or trainers, you may want some circus music playing between each presentation or as the presenters walk out onto the stage. In some cases, you may want the circus music to come to an end, and you may want dance music or a string quartet or something entirely different altogether to play for the remainder of the event. Whatever you want, we can create it. To figure out the best party sound for your event, we start with a consultation. There, you can tell us what you are thinking. Then, we put our expert team to work planning the perfect event with top notch sound. If you're ready to start planning your next event, let's go.  Contact us today at Track Seven Events.